Scroll saw projects can be intimidating for beginners, but with practice and patience you'll soon find that scroll work is a great creative outlet. Use these free patterns, one suitable for beginners and the other for more experienced crafters, to create pieces that you'll be proud to display or give as gifts. After cutting your scroll saw projects, finish the wood with an application of wood varnish, following the directions on the product you choose. You could also rub the pieces down with lemon oil to bring out the grain of the wood. The patterns in this section are free to download and print using Adobe. Just click on the image of the pattern you'd like to open it up in a new window or tab. This is a beginner project that can be used as a wall or door plaque. Use a piece of ribbon for a pop of color to hang on the wall or door. This could also be hung by a long nail or metal hook on the wall. Attach a photo with small staples and use this as a frame. Use carbon paper to trace the pattern onto the wood or cut around the outer edge of the pattern and tape it to the wood. Cut out and remove the black areas. Use sandpaper to smooth the cut edges. 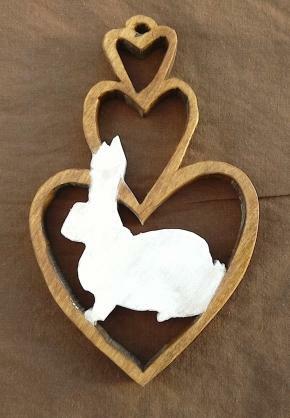 If you wish, paint the bunny in one solid color (such as the white shown in the image), or give it some facial features and detailing with a fine paint brush. You could also paint the rest of the wood in a complementary color to match your decor. 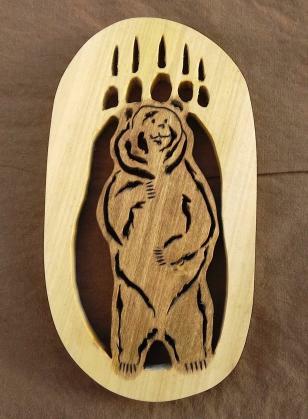 This is a project for a more experienced hand at the scroll saw. Cut at the size of the pattern, it makes a beautiful plaque that can be hung on the wall or attached to another project. You could also make the design on a larger piece of wood and use it for a project such as a box top. Cut out and remove the gray areas on the pattern. Smooth and rough edges by hand with sandpaper. Stain the bear itself in shade that's just a little darker than the wood you're working with. Allow the stain to dry completely. Burn the detail for the eyes, nose, mouth, and the claws with a wood burning tool to make them stand out beneath the stain. If you're looking for even more free patterns for scroll saw projects, try some of these options. The sites listed here offer free patterns as digital downloads. These sites offer patterns and project ideas for everyone from beginners to experts. Whether you're looking for chunky animals for small children to play with or stunning wall art to be turned into a clock, there are beautiful patterns available on these sites. Scrollsawartist.com has several free patterns available from this artist. The patterns range from simple picture frames and plaques to elaborate fretwork. Scrollsawer.com is an online and print magazine that offers free patterns to download from their website. Choices range from simple projects like puzzles and solid wood figures to more advanced projects like fretwork and intarsia. There are patterns for table decorations and wall art too. The patterns offered on these sites are easy enough that a supervised child could cut out and finish. 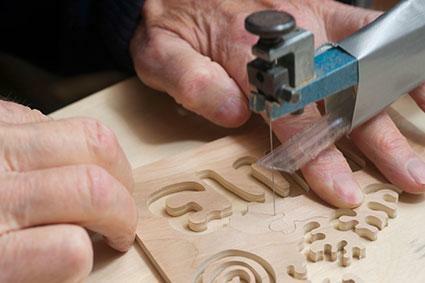 Puzzles and larger silhouettes are a great place to start learning how to use a scroll saw. 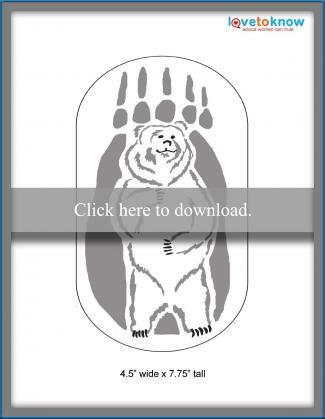 Free Wood Puzzles has patterns for puzzles shaped like frogs, dinosaurs, elephants, dogs and other creatures. 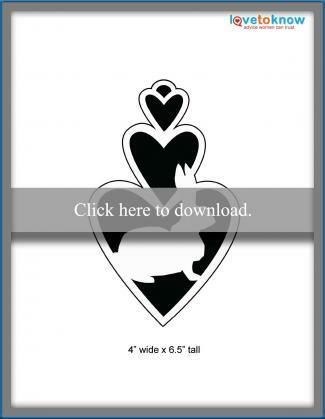 They also offer free patterns for bird houses that can be cut out using a scroll saw or a jigsaw. Free Scroll Saw Patterns by Arpop offers many patterns for all skill levels though most of them are simple enough for a beginner. For example, there are several patterns for silhouettes that can be made into clocks, as well as puzzles and simple plaques. These sites feature patterns that require more practice and skill to cut out and assemble. These projects are perfect for an experienced scroll saw enthusiast. Craftsmanspace.com is a website for many woodworking projects and patterns. Scroll saw patterns found here include floral designs, Celtic patterns, vectors, silhouettes and fretwork. Intarsia.com often has patterns that are free but they can change from time to time. The projects offered from this artist are generally animals and seasonal patterns. To order these patterns you must complete the checkout process just as you would for a paid order. The free pattern will be available the next business day after processing to download using your order number. You Can Craft With a Scroll Saw? A scroll saw is a saw attached to a table, the blade of which goes from the saw arm through a hole in the table and connects underneath. The saw arm moves up and down and you push and pivot the wood to cut out different shapes. A basic scroll saw can be purchased for under $200. The average crafter can learn any of the types of scroll saw work, which are known as fretwork, marquetry and intarsia. Fretwork involves cutting pieces out of a piece of wood so that what is left produces a pattern. Marquetry refers to wood inlays where different shapes and often different varieties of wood are cut out and then glued together to form a picture. Intarsia is a wooden mosaic pattern where the pieces are glued into a wooden support. Almost any pattern you find can be added to or changed to fit what you want to use it for. You can also use stained glass patterns, most of which can easily be adapted to scroll saw methods. As with any other craft pattern, take what there is and use your imagination to make it your own.